Couldn’t that now be called, ‘Tinder’ music? Sounds more like he’s geared more toward Grindr! 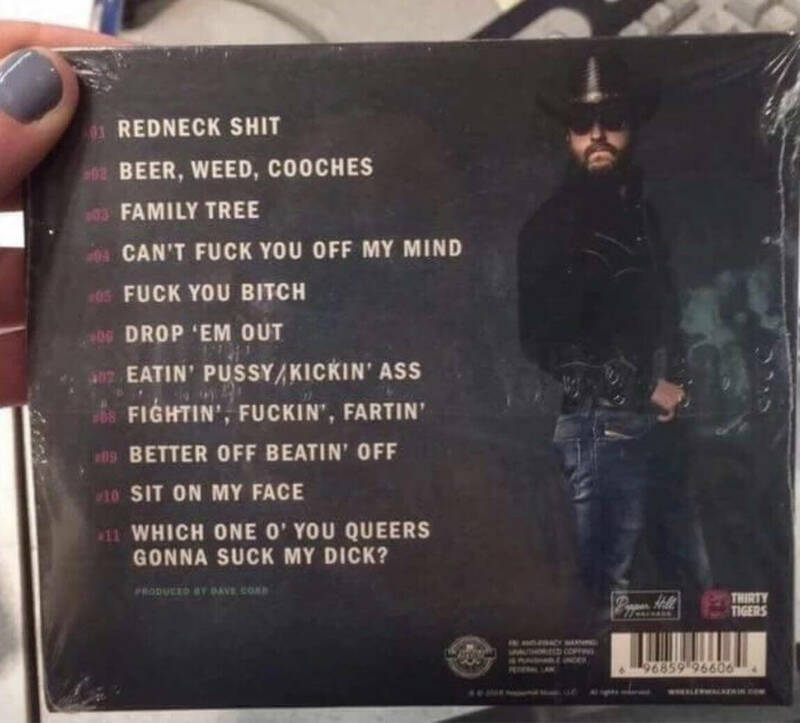 Wheeler Walker Jr. Is this artist’s pseudonym. He is a comedian turned country music star that went popular because his songs were making fun of country music. I’d love to see a “dirty” competition between this guy and Larry Pierce. This gormless chav is exactly why the aliens won’t have anything to do with us and why they lock their doors when they come to Earth!